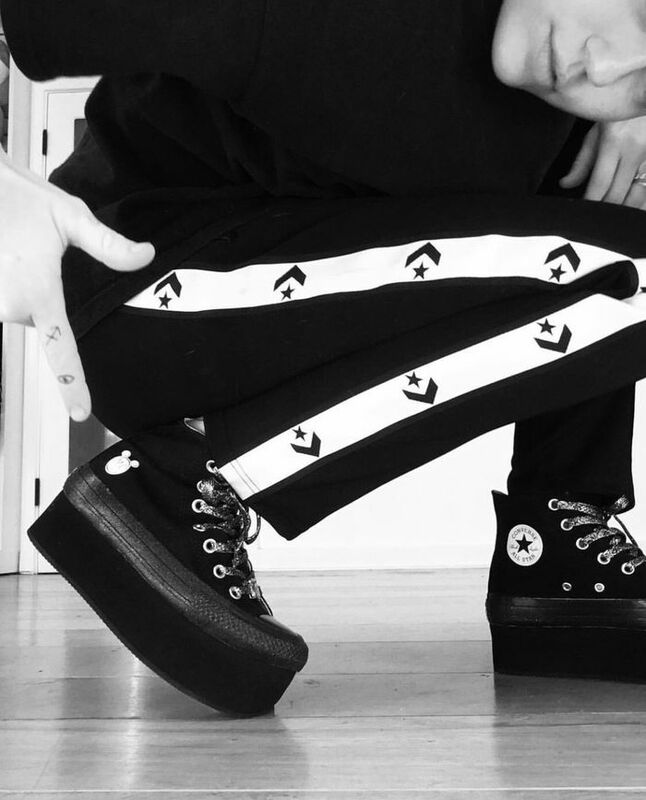 "MC X Converse Drop coming sooooon! With glitterized sole and laces! Stay tuned for more info!" "Who wants a pair!!! 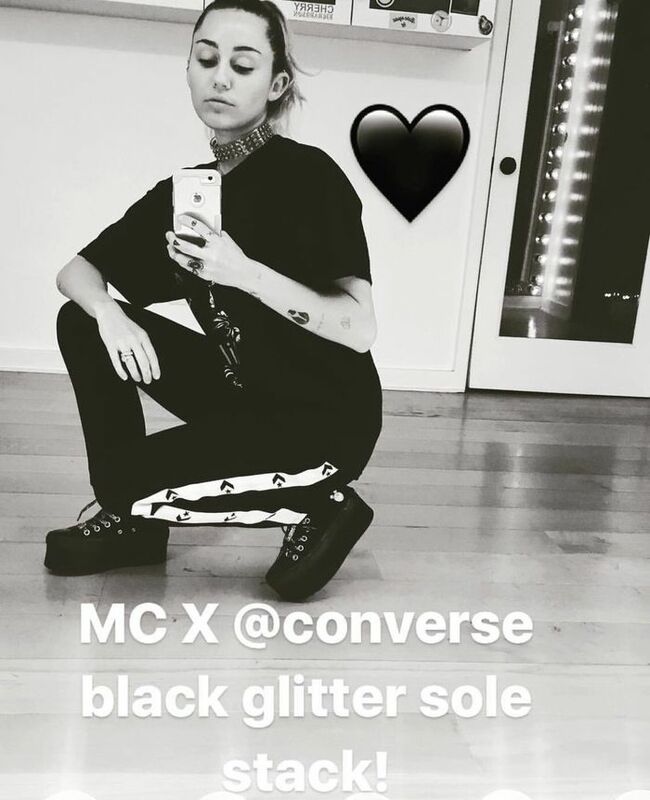 MC X Converse coming soon! #MileyLovesChuckStay Tuned for More info!" "MC X @converse COMING SOON! 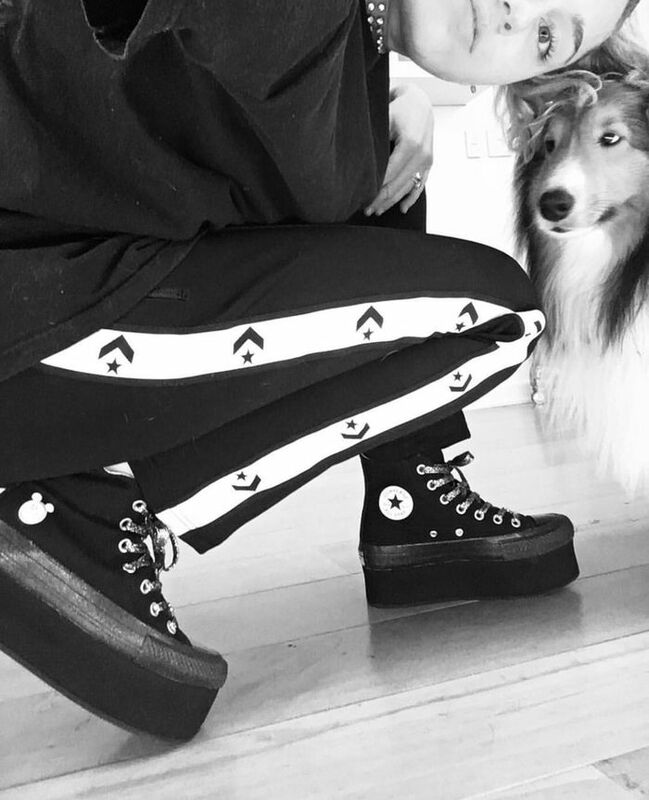 🖤 (Dog Hair not included)"